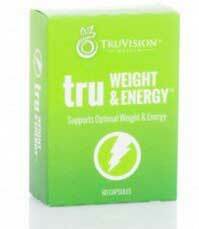 TruWeight & Energy is a weight management supplement produced by TruVision Health. The company markets a number of health and fitness products and claims to be on a mission to provide effective products at affordable prices. However, dieting the TruWeight & Energy way involves a monthly spend of $100 or more, so dieters who argue the company has already failed in one of its goals can probably be forgiven and TruVision Health products are sold minus a money back guarantee. What is TruWeight & Energy and How Does it Work? The manufacturer fails to provide much in the way of details about how the formulation works, but it’s apparently a “multipurpose supplement”. None of the purposes are elaborated on, so it’s probably safe to assume there are only two: losing body fat and feeling energised. Many competing supplements offer all this and more at a fraction of the price. The original TruWeight & Energy formulation contains AMP (4-Amino-2-Methylpentane Citrate). The ingredient is known by a number of other names; with DMBA being the most popular. However, an announcement posted the FDA website states the FDA is unaware of any information that allows the ingredient to be lawfully marketed as a weight loss aid in the USA, and they have imposed restrictions on its use. TruVision Health’s answer to this problem is simple. The company has created a separate AMP-free formulation for distribution in the USA; and there are many differences between the two blends. · TruWeight Metabolism Balance Blend: Green Tea Extract, Hordenine, TriMethylGlycine, Caffeine, Theacrine, Evodiamine, Korean Ginseng. Green tea appears in both formulations, and it’s a good inclusion that has proven fat burning abilities, but the inclusion rates are not specified. If the amount used is insufficient its addition will be nothing more than a token gesture. Caffeine is another ingredient common to both blends, as is dendrobium. Caffeine offers many benefits, including appetite suppression and improved concentration. Caffeine can also increase the metabolism, but it is generally more acclaimed for its energy-providing abilities. Dendrobium is an ingredient sourced from a family of orchids that consists of around 200 species. Each species provides a different combination of alkaloids, some of which are believed to be capable of supporting weight loss, others of which are not. 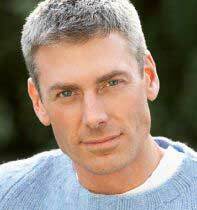 The benefit this ingredient will offer will depend on which species is used and this is not specified. Vitamin B also makes an appearance in both blends, and it is known to be important for a healthy metabolism, but when a product has so many ingredients included in unknown quantities it is impossible to evaluate its potential. The situation is made ten times worse here because TruWeight & Energy is available in two versions that are so dissimilar they could be marketed as two different products. Usage Guidelines – Two capsules should be taken in the morning. Two more capsules are required in the afternoon and TruVison Health claims no special diet is required. 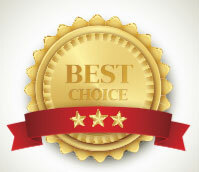 The manufacturer’s website contains a few testimonials that make TruWeight & Energy sound like a wonder weight loss product, but comments provided by such a biased source are not to be relied upon and independent reviews are not available. Most diet supplements are sold with the warning they are unsuitable for pregnant or nursing mothers. TruWeight & Energy is different. TruVison Health states studies have shown the ingredients used in their product are safe to use during periods of pregnancy or while nursing a child. If such studies actually exist they fail to provide any proof of it and, with so many ingredients involved, across two different blends, the claim fails to hold water. In fact, WebMD states in relation to dendrobium: “There isn’t enough information to know if dendrobium is safe to take during pregnancy or breastfeeding.” Several of the other ingredients are also known to present health issues, so all prospective users are advised to seek medical advice before commencing supplementation. TruVision Health products are available from the official website and the company ships worldwide. Each pack of TruWeight & Energy contains a 15-day supply of capsules (60) and retails at $58.95. The company also offers an automated billing and shipping option that allows dieters to become “Preferred Customers” and be automatically charged the slightly reduced price of $51.95 per pack and be sent a fresh consignment of pills every time the bottles they are using are about to run dry. Alternatively, customers can opt to become “associate partners”, pay $46.45 per bottle and then sell them at a small profit. A lot of people have already become associates, so a profusion of partner-built websites are actively marketing the product.